A warm welcome and thanks very much to Hil J for sending this one in via Twitter. 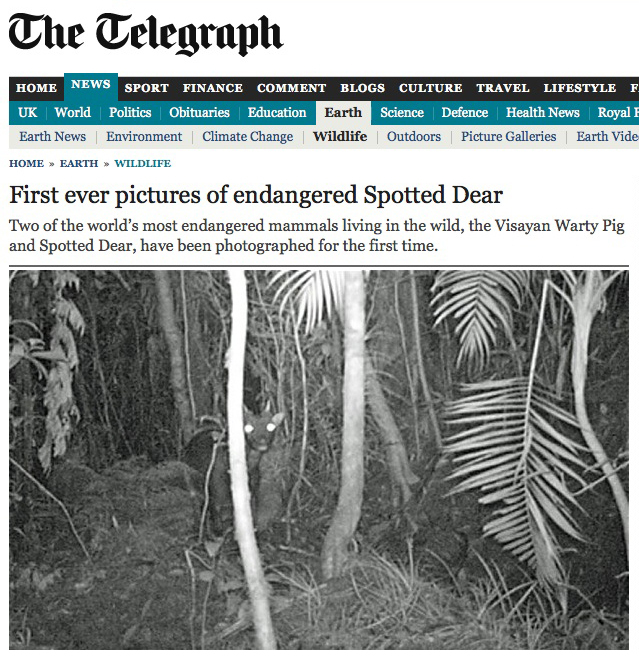 It appeared in The Telegraph last April and, even though the article mentions the gloriously-named Visayan Warty Pig, the publication date wasn't the First of April. Yes, I checked just in case. Anyway, not surprisingly, The Telegraph was quick to remove all traces of the error. But it doesn't take a Sherlock Holmes to uncover the evidence which remains to this day.